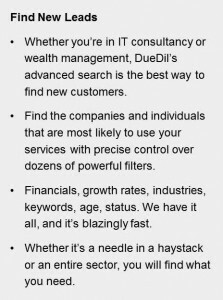 Home » Industry » Business Information » Meet our Full Member Duedil Ltd.
Duedil is a UK startup that makes the handling of corporate data from the UK Companies House user-friendly and provides tools for mapping full corporate structures and relationships. Due diligence on business relationships is at its highest and most complex levels. For many UK businesses Duedil has become indispensable. To understand all aspects of a party’s interests, Group Graphs are the best tool for mapping out a full corporate structure. From here, one can jump to each level, seeing each shareholder and investment that the company has which is crucial to understanding the interests at stake. Document Downloads saves an enormous amount of time: no paying Companies House, no queuing (Companies House makes you wait up to 30 minutes to download a document), and no trial and error with finding the right document. In 2012 Duedil received ‘The Newcomer of the Year Award’ which is judged and awarded by directors of the PPA Business Group who this year were unanimous in agreeing it should go to the entrepreneurial data start-up, Duedil. Formed just three years ago, Duedil has won plaudits for augmenting Company House records with data from a variety of open sources to provide more than 30 billion data points on every company and director in the UK. “It’s made Company House data more comprehensive, easier to access and more informative – it’s a real boon in due diligence searches,” said one PPA Business director. 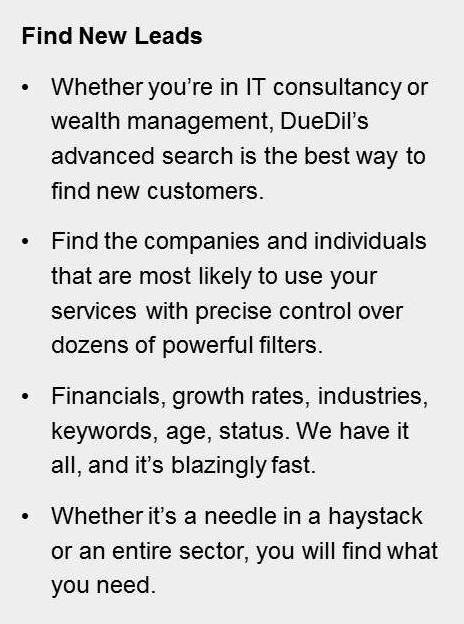 Congratulations to Duedil, one of the fast- rising new stars on the UK digital data scene. In legal speak, we are Duedil Limited, a company registered in England and Wales with its registered office at Fairfax House, 15 Fulwood Place, London, WC1V 6AY under number 06999618.